Sonali Bank Limited will recruit 527 vacancies of candidates for the position of the Senior officer for the year 2017. 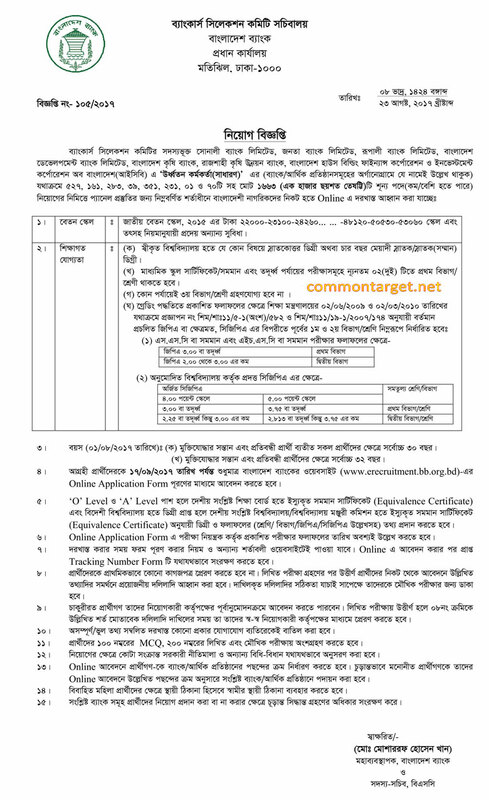 Sonali Bank Job Circular 2017 Senior Officer has been published here. SBL New Job circular 2017 for the post of the Senior Officer published on 23 August 2017. Age Limit: 30 years (Date on 01.08.2017) for all, except Freedom Fighters/Child of Freedom Fighters and physically disable candidates.